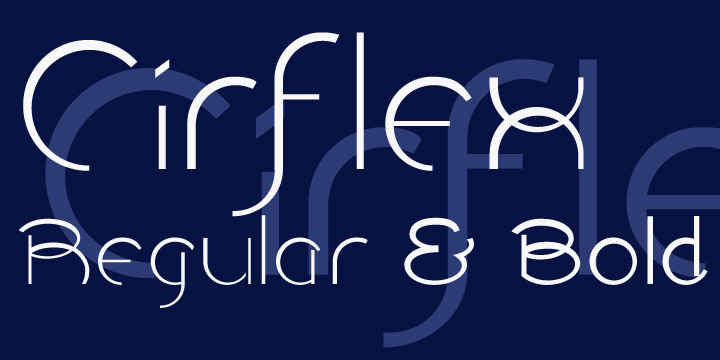 Cirflex is an attractive font used inspired by a 1930s shop sign. It certainly has an old world yet very lively appeal to it. Hence, it makes for a perfect typeface for both Streamline Era and Art Deco design. The strikingly beautiful font is available in both regular and bold weights.